Following allegations that NNPC GMD Maikanti Baru along with other are plotting the impeachment of Senate President, Saraki, the corporation has reacted. The Management of Nigerian National Petroleum Corporation (NNPC), on Sunday said its Group Managing Director, Dr Maikanti Baru, was not funding any plot to impeach the President of the Senate, Dr Bukola Saraki. 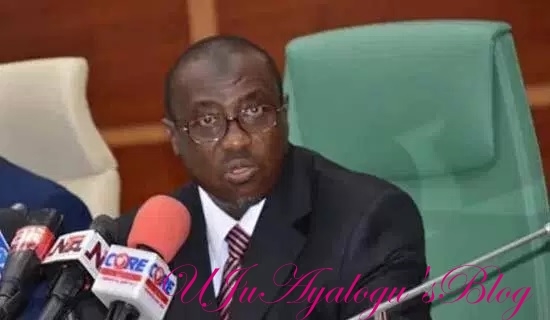 Mr Ndu Ughamadu, NNPC Group General Manager, Group Public Affairs Division, said in a statement in Abuja that the Corporation was not party to the ongoing political struggle in the National Assembly. Ughamadu said the trending reports in some section of the media insinuating that Baru had doled out funds to effect the impeachment of Saraki were false. He described the report as “the handiwork of mischief makers seeking to drag NNPC and Baru into a purely political affair totally different from its mandate as the national oil company with fiduciary responsibilities to the government and people’’ of Nigeria. He said the reforms had “witnessed irreversible strides in the area of transparency leading to the sustained publication of NNPC monthly operations and financial records. Ughamadu called on all well-meaning members of the public and oil and gas industry stakeholders to discountenance the story. He said that the Management of NNPC remained committed to its statutory role and responsibility to the entire federation. Saraki, on July 31 decamped from the ruling All Progressives Congress to the Peoples Democratic Party and the Senate promptly adjourned plenary until Sept. 25. Allegations that Baru was involved and funding an alleged impeachment plot against Saraki have been rife.